When last we saw Dan Pawson, he was quite unhappy with my analysis of his preliminary-round wager. Fearing for my life – has a Jeopardy! champion ever murdered another Jeopardy! champion? on camera to boot? – I asked him if he wanted to step outside to chat. We repaired to my front stoop in Park Slope, Brooklyn, where we discussed various aspects of his Jeopardy! experience, and his thoughts on the upcoming rounds of The Battle of the Decades, which have yet to tape. By the end, I think he had forgiven me for my transgression. A summary is below, but you can jump right in and click around on the TOC (that’s Table of Contents, not Tournament of Champions). 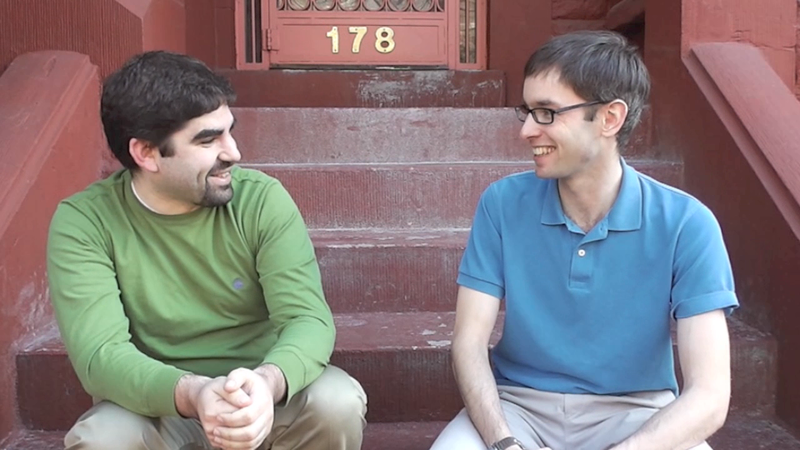 Dan and I chat about Brooklyn, and the coincidental six-block difference between him and Maria. What was it like hanging out with all of those champions? As I showed in my preview, Dan had an unusual approach to wagering. We focus mostly on his sixth game, in which he wagered to force second to get it right. That transitions into a discussion of wagers by Pam Mueller, Colby Burnett, and Leslie Frates, among others. Looking forward to the next round? What’s got Dan most excited about the next taping? For him, at least, it’s not all about the game. Of our quarterfinalists, 13 were TOC winners; Ken Jennings (who never played in a TOC) and Pam Mueller (who almost advanced to the UTOC finals) round out the field. What does this say about TOC champs? Dan came from behind to beat everyone’s Jeopardy! crush in the 2009 TOC. He shares some additional thoughts on her play (and her game in the prelims). Does Dan have any thoughts on whom he might be playing in the quarterfinals? I apologize for some of the background noise, but it was a nice day!